When is labeling people a good thing? When I pass these out at Theatre Bizarre in a couple weeks! 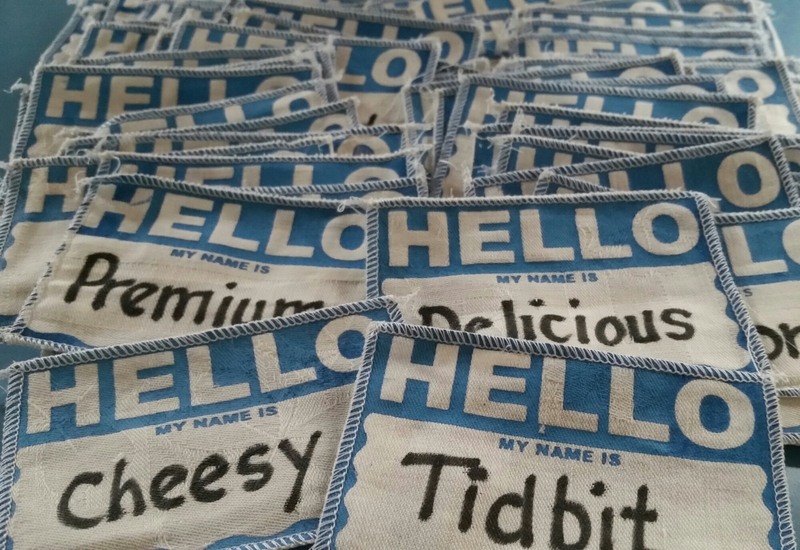 Screenprinted with handwritten food-oriented names. Call me anything but “Late for Dinner”!